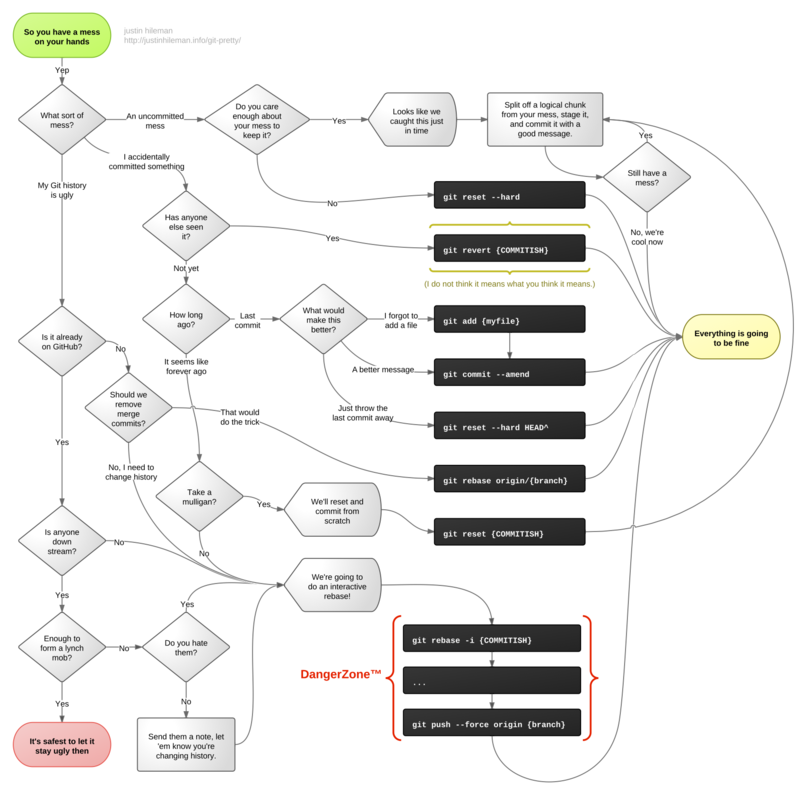 Flowchart to solve common problems when something was done wrong in git. Perform the merge between two branches incrementally. If conflicts are encountered, figure out exactly which pairs of commits conflict, and present the user with one pairwise conflict at a time for resolution. - Reduce the pain of resolving merge conflicts to its unavoidable minimum, by finding and presenting the smallest possible conflicts: those between the changes introduced by one commit from each branch. - Allow a merge to be saved, tested, interrupted, published, and collaborated on while it is in progress. Ry’s Git Tutorial is a complete introduction to distributed version control with a focus on practical command line usage. We explain Git’s robust branching, merging, and collaboration capabilities from the ground up, so prior experience with centralized systems like SVN or CVS is not required.